Raindrops and Daydreams: News roundup: The Sengoku Basara series is officially ten years old today! 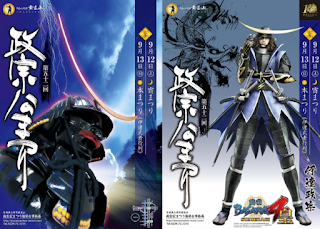 News roundup: The Sengoku Basara series is officially ten years old today! Today marks the official ten year anniversary of the Sengoku Basara series. The two-hour celebratory stream starts at 20:00 Japan time, and it's just been announced that Noto Mamiko (Oichi) will be appearing as a surprise guest. Sadly I can't watch it live due to work but I'll be catching up later in the evening! The link is here. 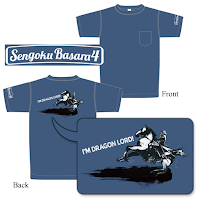 I hope everyone is well and able to celebrate this milestone for the series, whether they're an older fan or someone just discovering Sengoku Basara for the first time. It's wonderful seeing how warm and enthusiastic everyone is about this crazy series! First, here are official pictures from the grand opening of the Sengoku Zukan -Cool Basara Style- ('Sengoku Reference Book -Cool Basara Style-) museum tie-in event. It looks really fun! The usual posters for this year's Masamune-kou Matsuri have also been spotted around Miyagi Prefecture. The festival is using the CG artwork from the Sengoku Basara 4 special edition this year. 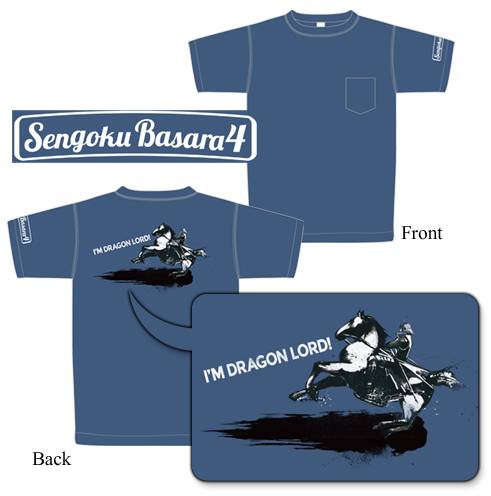 The novelty Sengoku Basara 4 t-shirt from Tokyo Game Show 2013 has appeared for sale on Ami Ami with a release date of late July 2015. It's available in S, M, L and XL sizes and priced at ¥3,078 discounted to ¥1,840. I didn't blog about yesterday's NGC gameplay stream because I was too busy, and because the game's release date feels so close now that I'm getting excited about playing it for myself. The first demonstration was a great showcase for Matsu and Toshiie fans, then Yukimura and Masamune got together to tear through the Eastern Army's version of Sekigahara for old time's sake. OneSanitarium has put together a selection of highlights for the benefit of those who missed the broadcast. Please enjoy today's stream if you're able to watch it when it airs! I'm celebrating by feeling burnt out on SB4. >:| Just two more characters left, but I'm not going to like playing as Shimazu. Hope it's plenty more nice for you though Raindrops. Damn, I was (and is) too lazy to make some necessary preparations to take a few pictures (and tweet it to KobaP) on anniversary date. I'll try to redeem myself once my Sumeragi stuff arrives ^_^. And unlike raindrops I had to wait a week or so till my copy actually arrives from Japan)). 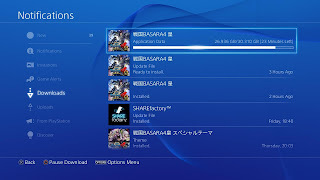 Being playing HD Collection lately (the original Sengoku BASARA to be precise) and since I have not played SB4 for like a year or something (my PS3 had issues of not playing BluRay Discs on me for quite some time) so once I made a break from the 1st game and tried to get back to SB4 before Sumeragi hits it felt so complicated it's terrifying (with all those menus and options I don't even remember the purpose of), lol. I would like to give a toast to this villainous blog also which with it’s tons of updates has helped keeping up my interest in the series. Indeed, a very happy anniversary to this crazy series! The enthusiasm of the entire community makes it a pleasure to keep updating this blog, even though it's meant to be an anime blog and has somehow been completely taken over by historical warriors lately (lol). 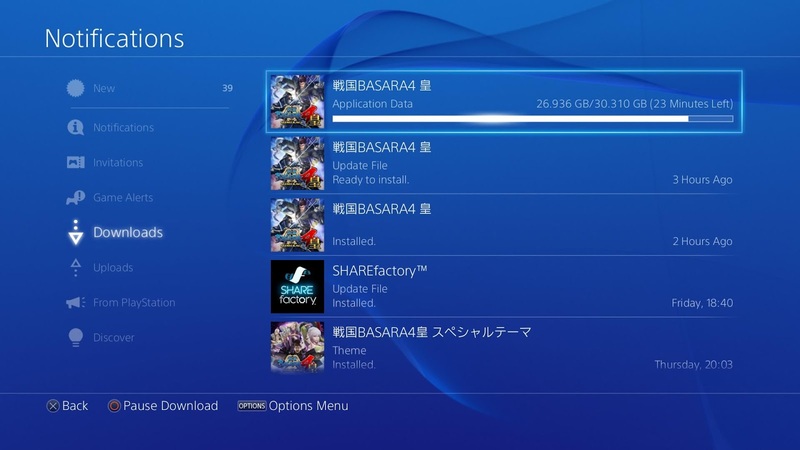 i just keep waiting for my physical order, happ basara anniversary, any knows if this game will have a vs mode? It hasn't been confirmed, but personally I strongly believe that it will. The silly versus mode added a lot of replay value to the previous expansions. And they already have a ton of one-on-one stages in the game we can use!